VRAM Jewelry — 300 W. 57th St.
After 48 hours in New York pitching editors I'm back at the studio and I'm thinking more about the importance of finding balance between the old and the new. In my practice it is commonplace for the team to use traditional materials and techniques directly alongside state-of-the-art technologies. In fact, it is only through the marriage of the two modes that I can realize the most expressive and meaningful pieces. I was reminded of this yesterday while visiting the Hearst Tower on 57th St. in New York -- a building initially constructed in 1928 for mining heir and newspaper magnate William Randolph Hearst by the Austrian architect Joseph Urban. 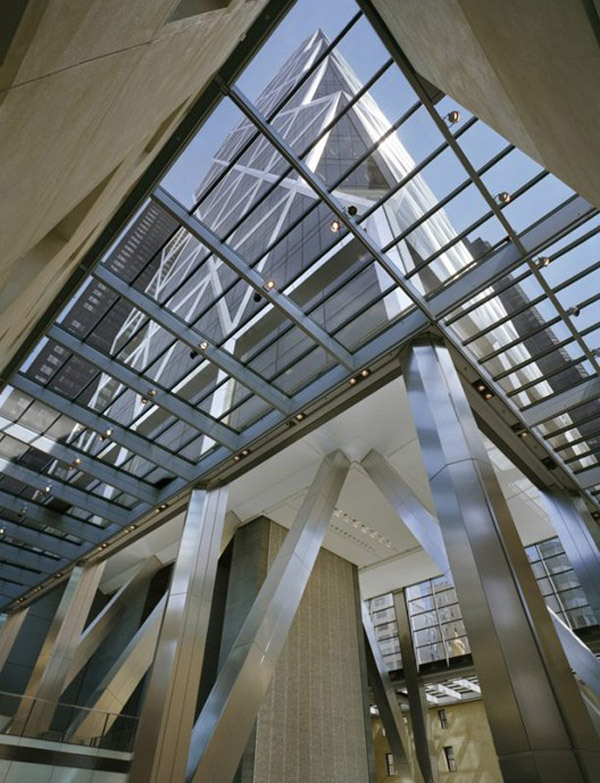 The original design was to have a tower (and an entire complex not unlike the nearby Rockefeller Center) added shortly after completion but after the 1929 stock market crash and the Great Depression that followed, Hearst was in no financial position to carry out the project and it was postponed indefinitely. 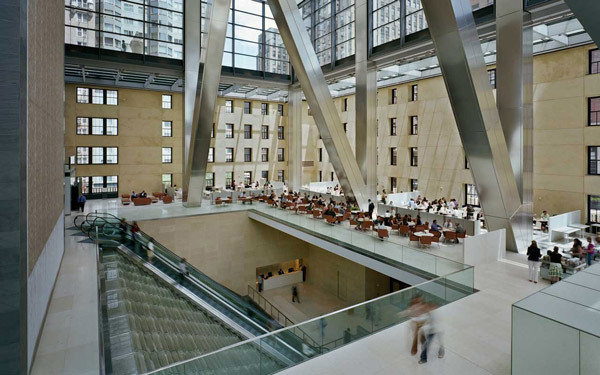 Hearst management finally revisited the plan in the early 2000s and charged Lord Norman Foster of Foster + Partners with the task of both adding an iconic tower and preserving the original building. 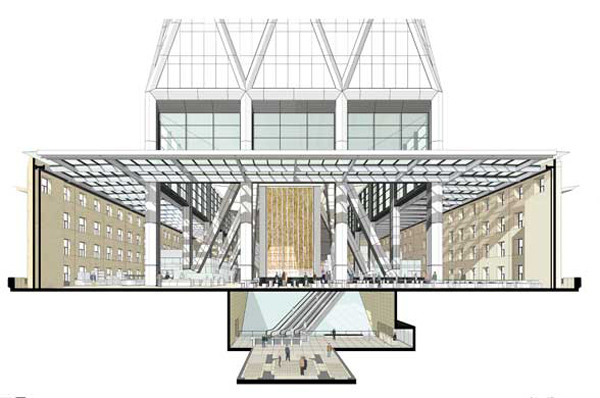 The final design was presented and approved on the afternoon of September 11th 2001 -- a 46-story tower that incorporates the historic façade while adding a huge glass roof through which to view the glistening diagrid. At completion in 2006, the tower was the first new skyscraper to be completed in New York post 9/11. Its frame uses 20% less steel than traditional skyscrapers and it pioneered a number of 'green' technologies for climate control and water recapture. For another example of old-meets-new in architecture check out Zaha Hadid's Port House in Antwerp. Looking up through through the lobby's glass roof. ...and down over the water feature towards the street-level foyer. 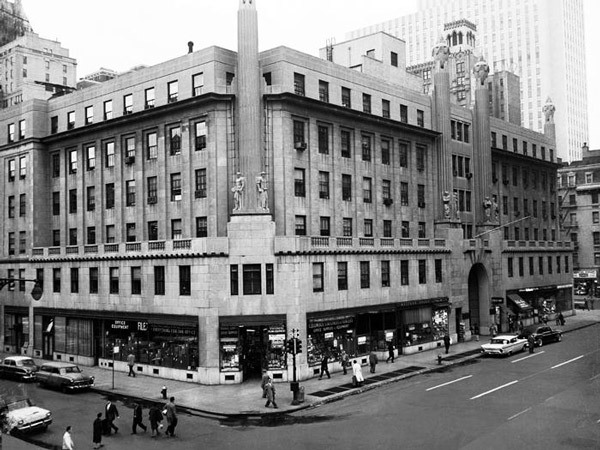 A mid-century photograph of the 1928 structure by Joseph Urban. A cross section of the foyer and lobby with the tower rising inside. A schematic of the tower showing all 46 floors. 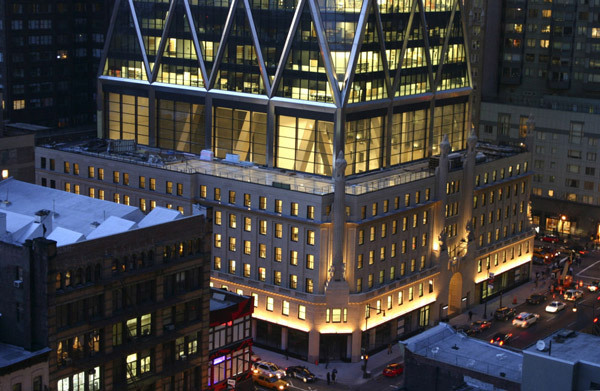 Night at the Hearst Tower.